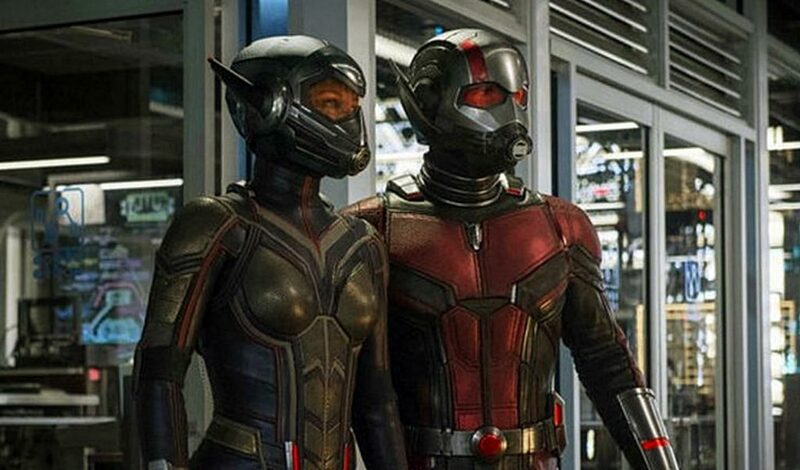 Set mainly in San Francisco, Ant-Man and The Wasp takes flight as a crowd pleaser that’s relatively light on tension and menace, but still sharp with action and non-stop humor as the Quantum Realm becomes a prominent factor. Small size means big power here thanks to the invention of S.H.I.E.L.D. co-founder Hank Pym (Michael Douglas) who, as the original Ant-Man, developed as a special suit that changes the distance between atoms for unprecedented changes in density and strength. Ghost wants to use this technology for selfish reasons, similar to the villain from the previous film, but filmmakers create a much more personal struggle this time. 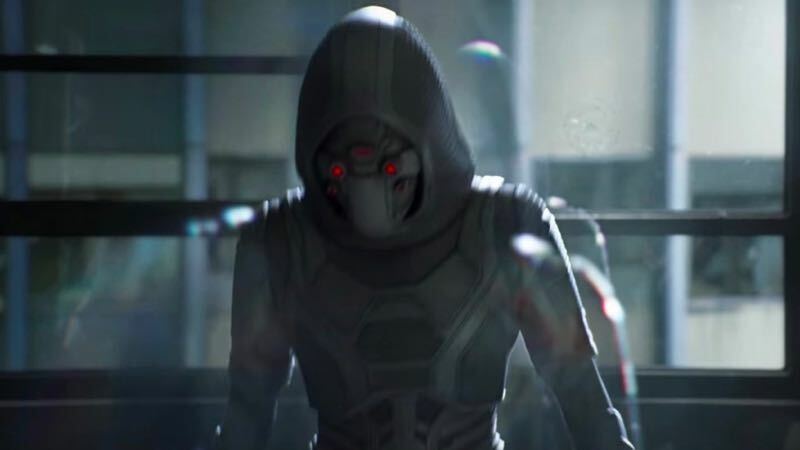 Hannah John-Kamen (Ready Player One, Black Mirror series) plays this mysterious baddie who has special physical abilities that makes her a formidable fighter against Ant-Man (Paul Rudd) and Wasp (Evangeline Lilly). These abilities allow her to progress through different physical states of matter and also limit her activity in certain ways, so her tactical strategies play an important role. Filmmakers make her background plausible in a basic flashback sequence, which becomes an intriguing technique that sets a solid foundation for more character development and future expansion leaving audiences wanting more while understanding each character’s thoughts and motivations. The stakes may not be as high on the worldwide level, but the fallout from events in Captain America: Civil War certainly eradicate Hank’s low profile. This film is set two years after those events where Ant-Man was revealed in a big way. 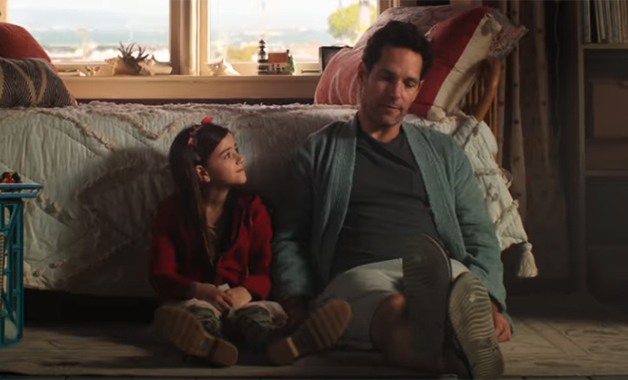 Hank and his daughter Hope (Lilly) are now fugitives, so Scott Lang / Ant-Man (Rudd) wants to redeem himself for them and resume his romance with Hope. Their relationship is not a major factor until about halfway through the film during a signature, rapid-fire story from Scott’s long-time collaborator Luis (Michael Peña). Luis gets limited time, but makes a great impression especially when he compliments Wasp’s suit in an admirable, respectful way as she returns in kind. Other character exchanges of kindness and goodwill like this one make this Marvel Cinematic Universe (MCU) film special. Luis and Scott’s former partners in crime and now partners in business Dave (Tip “T.I.” Harris) and Kurt (David Dastmalchian) are great supporting characters while providing bits of comic relief. Their new business venture is a sidebar that mainly provides bits of situational humor. Peyton Reed returns to direct this sequel and 20th overall installment in the MCU. His visuals say a thousand words and are well supported by great special effects. The Quantum Realm is basically described by Scott as filmmakers save the emotional impact of the visual sequences for the film’s climax. Rudd also co-writes the screenplay with Andrew Barrer and Gabriel Ferrari as Chris McKenna and Erik Sommers taking on the main work. Lilly impresses with her expanded action role as she finally gets to show her skills. Michelle Pfieffer boosts the authentic and heartfelt emotions in the film as Janet van Dyne, Hank’s wife who was the original Wasp and was lost in the Quantum Realm on an important mission with Hank. Hank and Lilly focus their attention on finding her as Scott contends with his house arrest due to violations of the Sokovia Accords, which was legislation presented in Captain America: Civil War that required all enhanced individuals to reveal their secret identities and disclose their powers for regulation. Hank still demands attention from characters and audiences solely based on his amazing abilities and inventions, which leads the plot to one of his past S.H.I.E.L.D. colleagues Bill Foster (Laurence Fishburne) who also got to help others in the Ant-Man suit. Bill provides some insight into Hank’s past as their strained, yet mutually respectful relationship has the potential to nosedive at any time. There is an impressive flashback sequence featuring a younger Bill, played by Langston Fishburne, Laurence Fishburne’s son, which probably helped the special effects budget that, again, contains a flashback sequence featuring a younger Hank whose youthful appearance is enhanced by special effects. Sonny Burch (Walton Goggins) plays another key antagonist who wants to exploit Hank’s technologies. His mysterious connections have the potential for a huge surprise, but merely progress into a standard association. It’s a missed opportunity to introduce another potentially huge threat, but retains the pleasant overall tone of the film, which seems intentional following the dramatic events from Avengers: Infinity War, which is the subject of the two ending credit sequences in this film. Scott’s ex-wife, Maggie, is again played by Judy Greer, but it’s Abby Ryder Fortson’s returning role as Scott’s daughter Cassie that gets the most notable expansion. The sweet, well-written sequence with Scott and Cassie discussing the next step in his superhero status while considering his family responsibilities personifies this film so well. It’s great to see a young character speak their mind as Scott develops right before our eyes. Randall Park (Fresh Off the Boat series) is the main law enforcement officer who predictably factors into the main plot as Maggie’s fiancé Paxton (Bobby Cannavale) keeps it all in the family this time. It’s a solid approach that might ease audiences’ minds as they can assume Paxton will protect Scott’s loved ones. 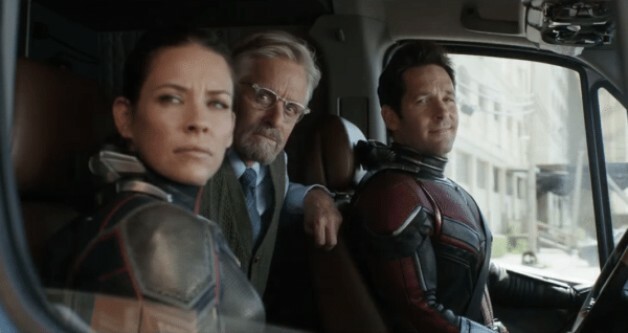 Christophe Beck returns to compose the score and co-creator Stan Lee has a funny cameo, a well-established MCU standard. Ant-Man and The Wasp comes recommended (*** out of four stars) and is rated PG-13 for sci-fi action violence. Sticking to the basics bring out each character’s appeal and natural charisma. Audiences get a satisfying story without feeling like filmmakers are trying to “wow” them at every turn. The one hour and 58 minute running time is perfect and does not even include quality footage from this film’s previews like the “you go low, I go high” dialogue exchange between Ant-Man and Wasp. The plot pace still entertains and enhances at every turn and creates the most kid-friendly MCU film yet. Also playing in 3D and IMAX theaters. Captain Marvel is the next MCU film in theaters on March 8, 2019. This entry was posted in 2010s Film Reviews, Film Reviews and tagged Ant-Man, Ant-Man and The Wasp, Film, Hank Pym, Marvel, MCU, Michael Siebenaler, Mike Siebenaler, Tall Writer, Wasp. Bookmark the permalink.